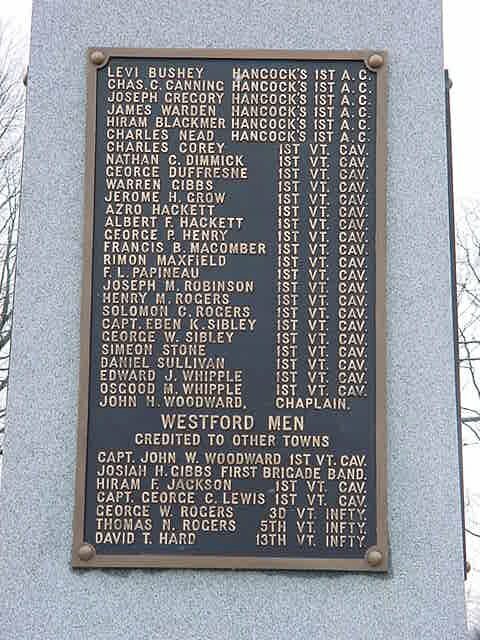 The monument is located on the Town Common in Westford. 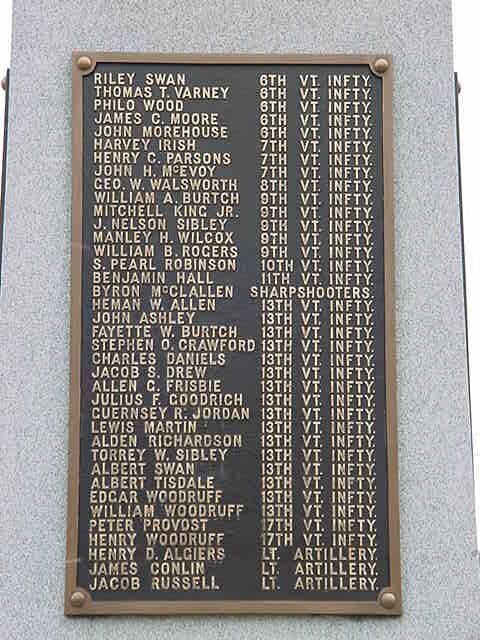 The top is a statue of John H. Woodward, who served as the chaplain of the First Vermont Cavalry Regiment, 1861 - 1865. He was also the pastor of the Westford Congregational Church from 1838 to 1864. 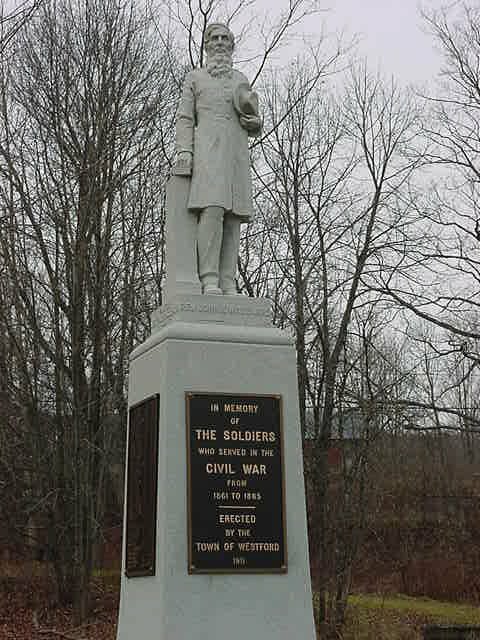 According to the inscription at the base of the statue, it was presented by John and H. Wallen, natives of Westford. 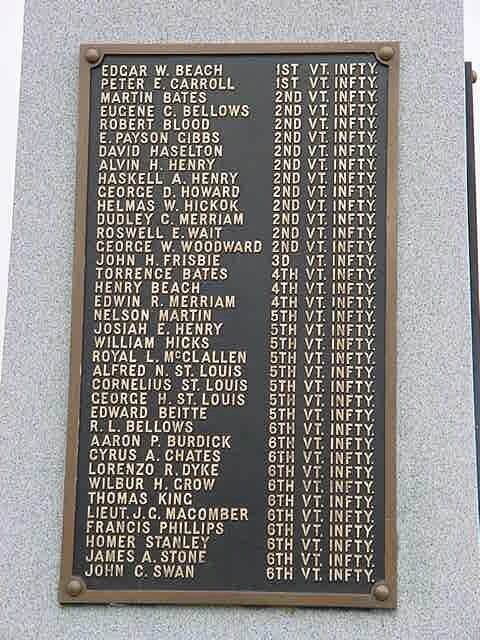 Courtesy of Peter Flood, great-grandson of 1st Lieutenant Jerome B. Hatch, 1st Vermont Cavalry.